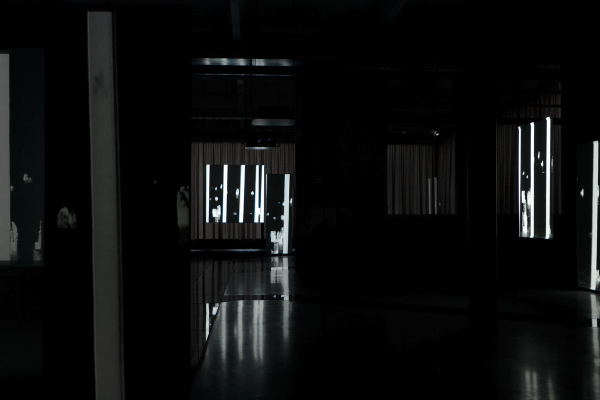 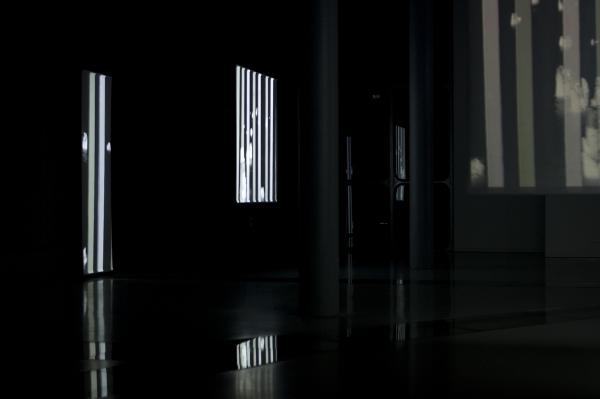 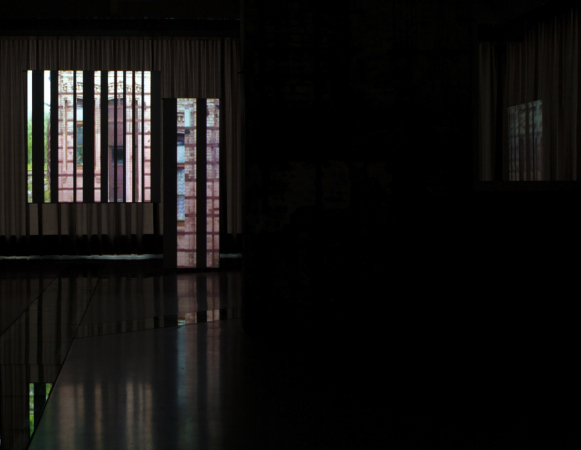 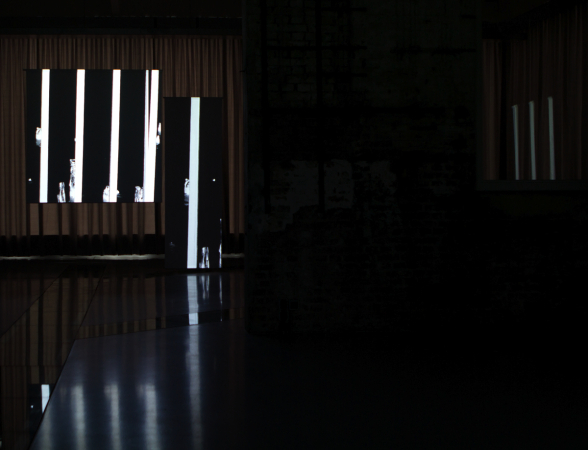 Three channel video on six semitransparent screens · Colour & B&W · Stereo · 20:16 min. 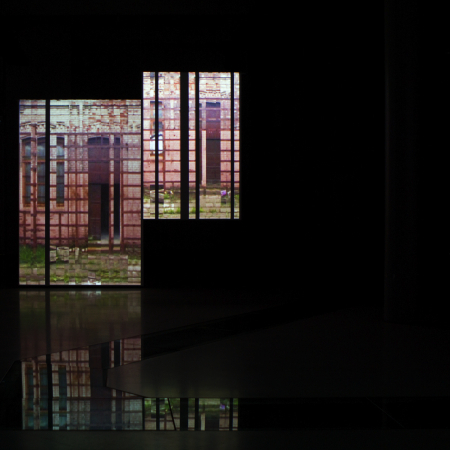 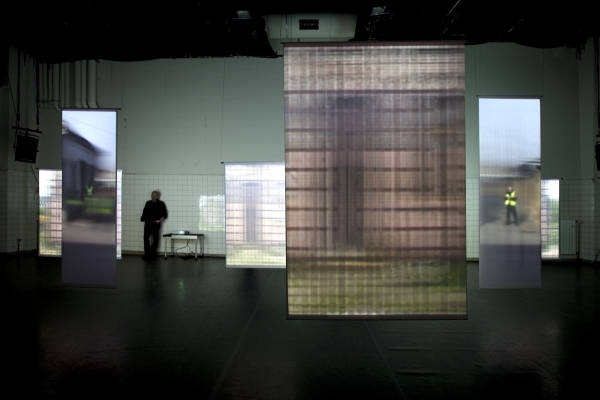 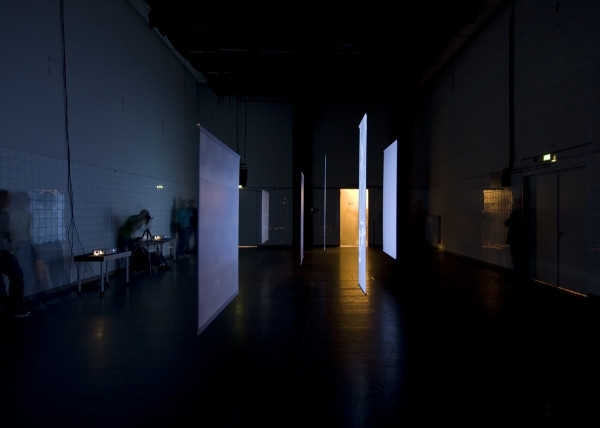 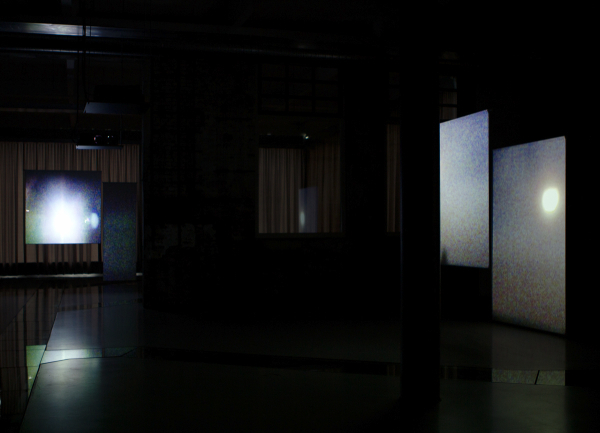 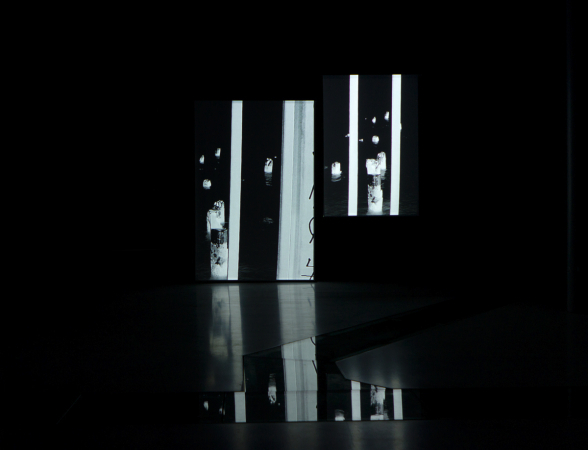 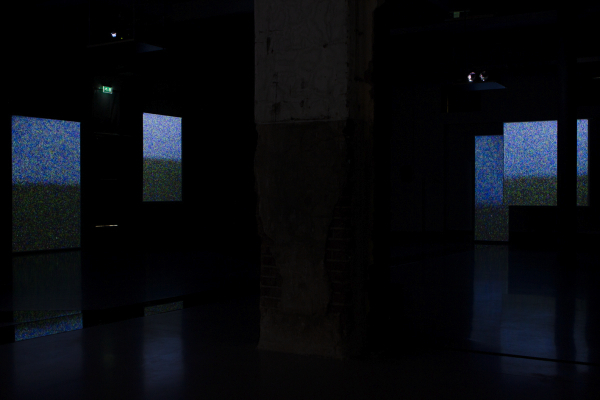 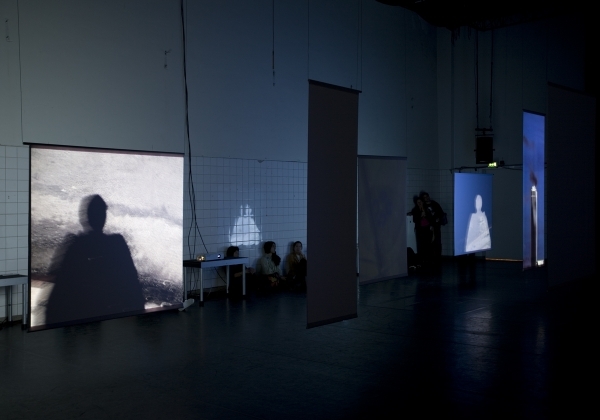 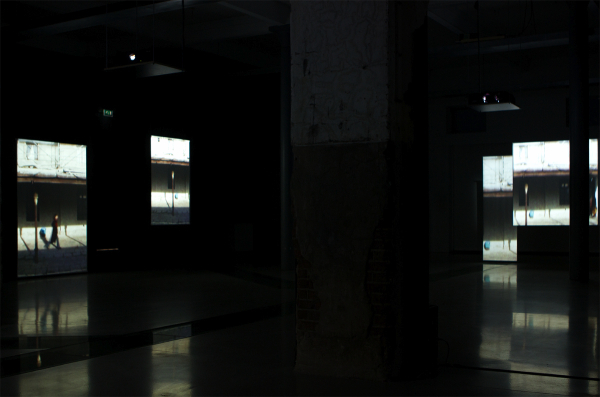 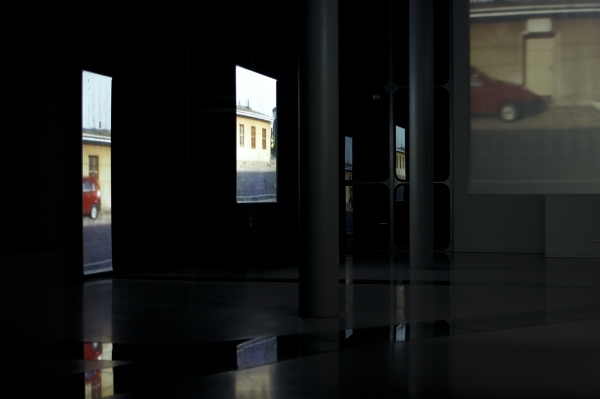 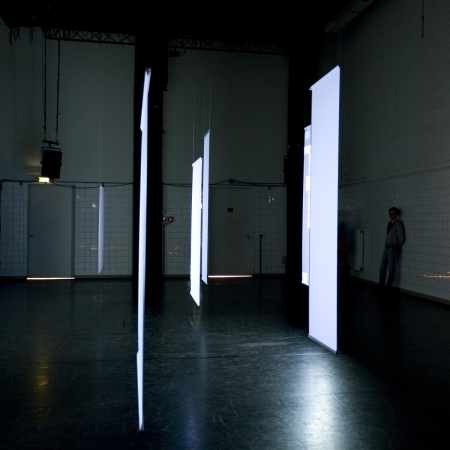 TIDE is an audiovisual space related composition within which sound and image are treated equally. 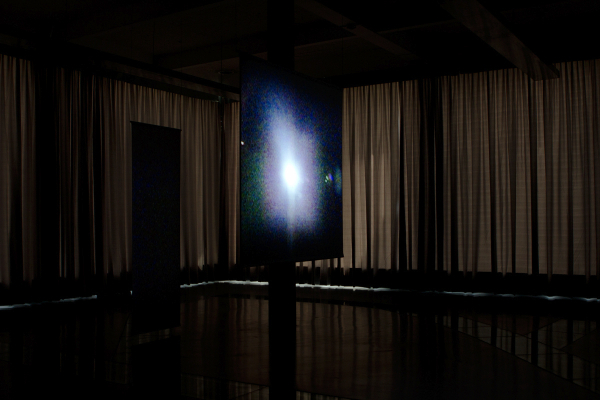 As sound and image operate in different dimensions the “sweet spot“ centred structure of the common audio-video formats is suspended. 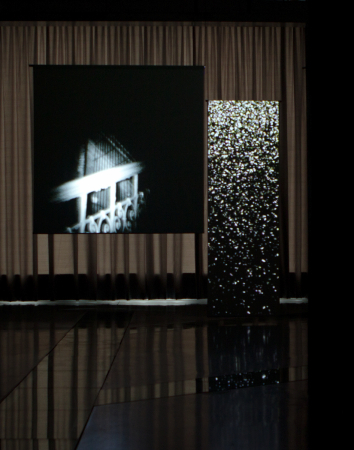 Based on 9 song-like sound sketches a mesh of links and constellations is bound in which both affiliates affect each other alternately. 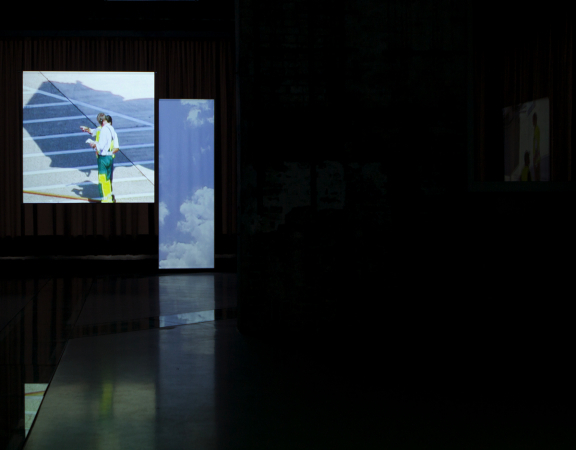 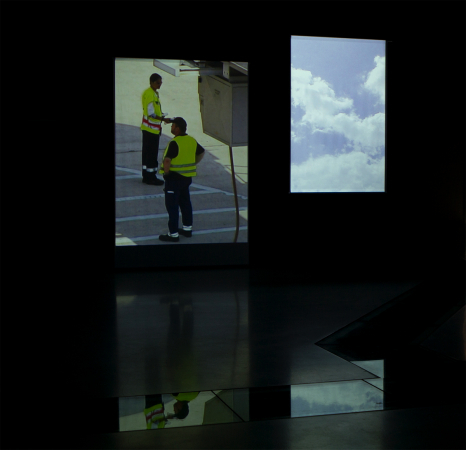 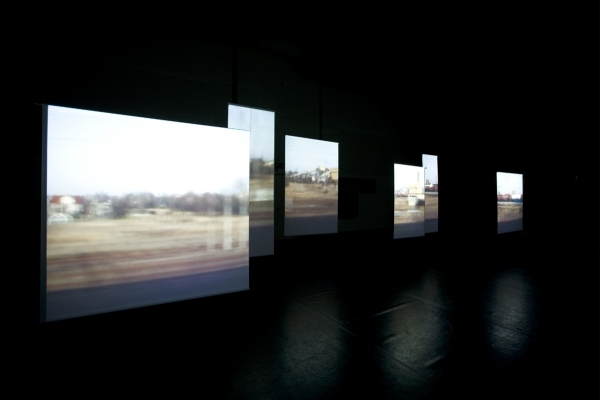 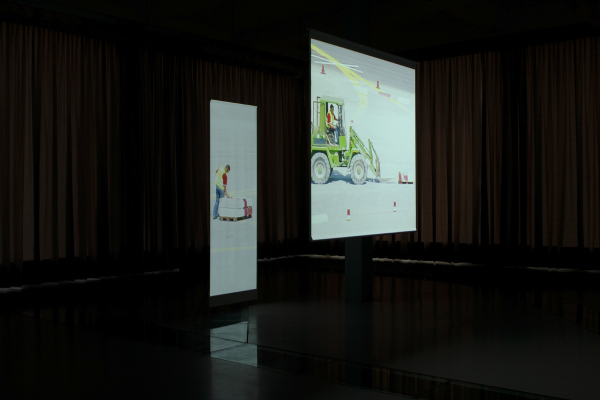 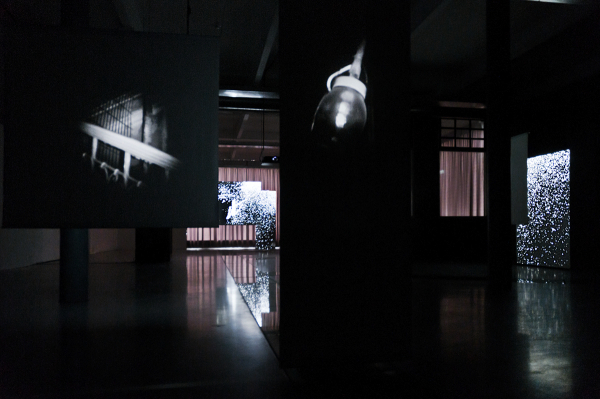 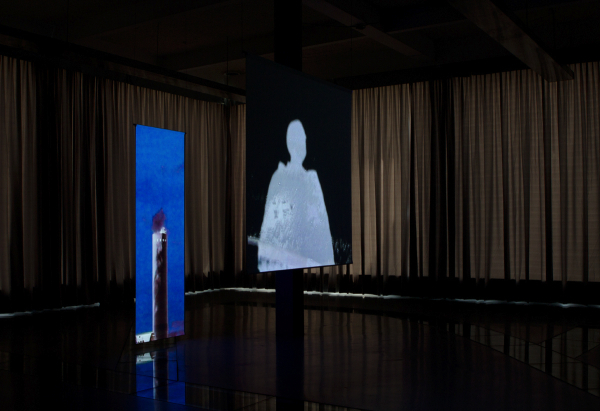 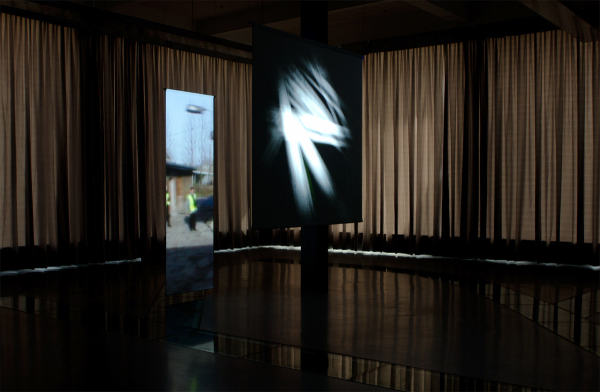 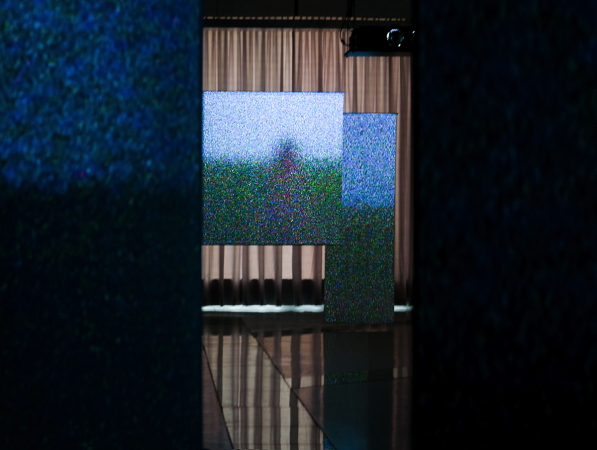 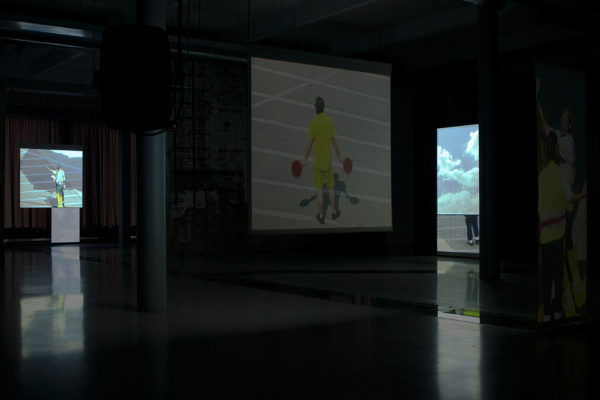 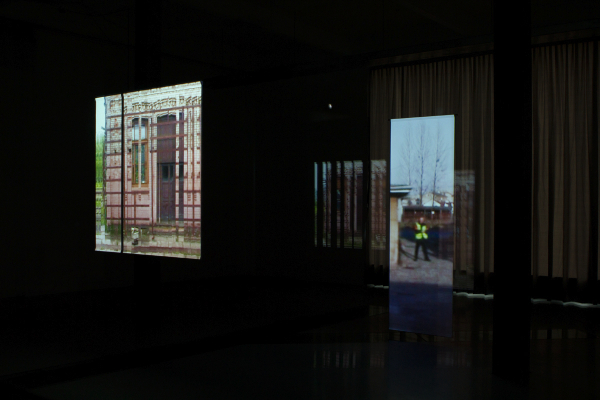 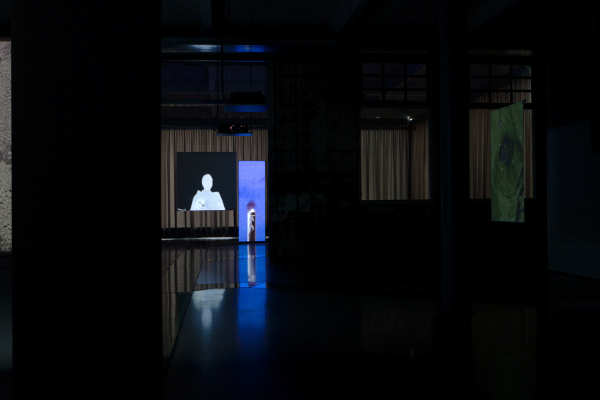 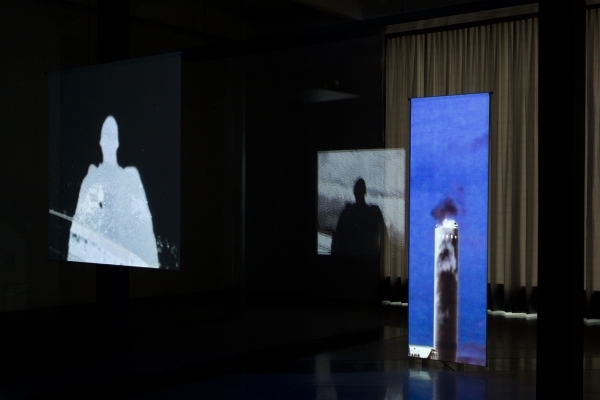 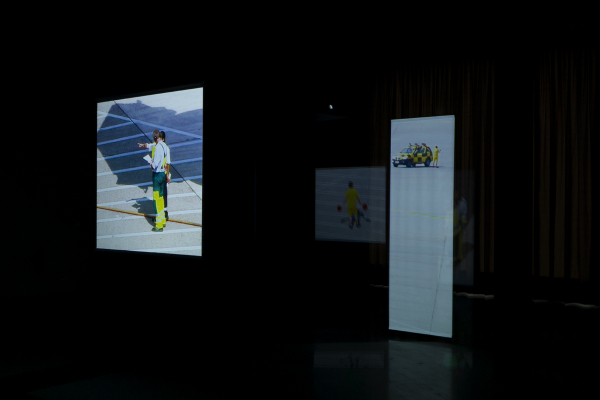 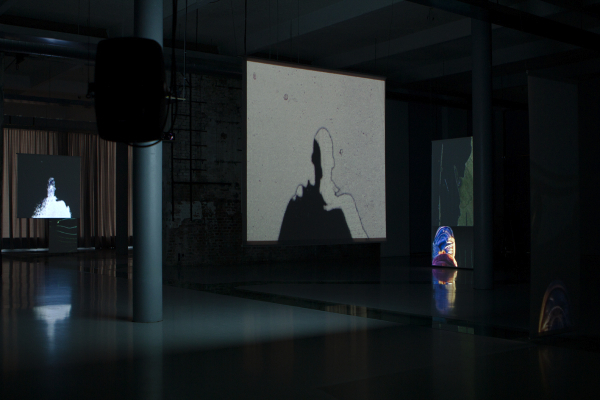 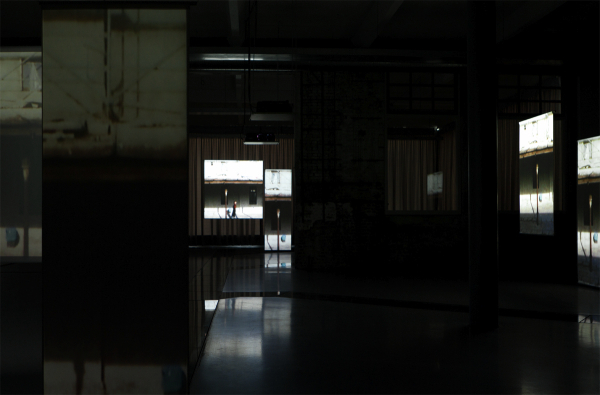 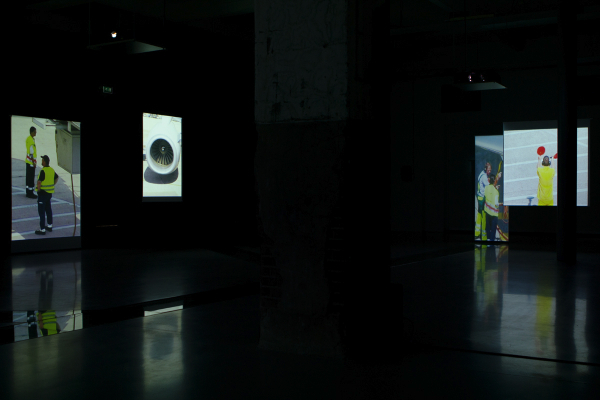 In TIDE the common video format is divided and fanned out into the exhibition space by using tableau-like canvases as screens. 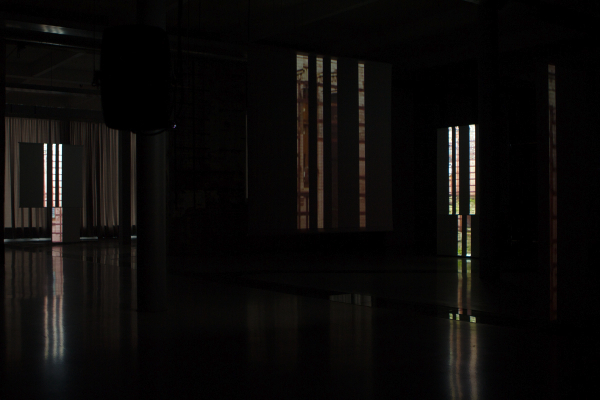 The visitor is invited to migrate around these splinters and experience various views and spatial sound movements. 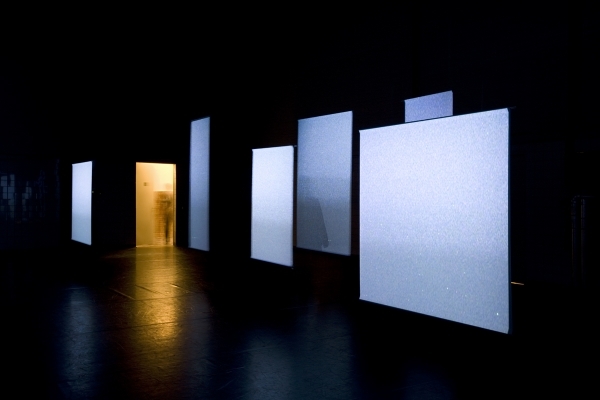 Within the temporal course of the composition narrative fragments appear at different locations, spread, jump and disappear again.